The bad news? It can take 30 years from the emergence of a toxic chemical to seeing it finally withdrawn. The good news? Public engagement can speed the process up! Most things in our world are ruled by natural cycles – even, it appears, the lifecycle of a toxic chemical. Looking forward in science in part requires looking back and evaluating trends and using these to predict future outcomes. Halden analysed 143,000 peer-reviewed research papers representing 60 years worth of data, and tracked the progress of these chemicals of emerging concern(CECs), revealing patters of emergence from obscurity to peak concern and eventual decline, over a span of 30 years. The study reveals that it typically takes around 14 years from the onset of initial safety concerns about a given chemical to the height of concern and appropriate action. This extended time-line means many more people are exposed to a chemical than probably need to be. “To better protect human health and the environment, it is desirable to decrease both the number of CECs entering commerce and the time required to take action,” comments Halden. Modern society has grown to depend on an ever-growing range of chemicals. So many are produced and used each year, that preliminary safety testing for human and environmental effects is often inadequate – or simply missing altogether. Unsurprisingly, some of these chemicals return to cause problems, in some cases, severe. Global industrialisation has placed unprecedented stresses on the environment, with a corresponding impact on human health. Worldwide, at least one quarter of all human diseases are believed to have an environmental component and CECs represent an important contributing factor. More than 40,000 harmful substances are currently ranked as CECs and around six new compounds of CEC potential are being added to the world’s chemical inventory each day. The current paper focuses on just 12 CECs: dichlorodiphenyltrichloroethane (DDT), trichloroacetic acid (TCAA), N-nitrosodimethylamine, methyl tert- butyl ether (MTBE), trichloroethylene (TCE), perchlorate, 1,4-dioxane, prions, triclocarban, triclosan, nanomaterials, and microplastics. Not only did the study find that it typically takes 14 years from a particular chemical’s emergence from obscurity to the height of concern about its effects, but typically it takes another 14 or 15 years for authorities to do anything about it. Meaning an entire generation will have been exposed to a particular toxin – or group of toxins before action is taken. Recent studies have suggested that the amount of toxic chemicals the current generation of children are exposed to has resulted in a ‘pandemic’ of brain damage. It further notes that some chemicals may emerge repeatedly, for example DDT and TCAA. decrease to a new baseline level of concern and so on. Some things may speed up the decline of certain chemical exposures i.e. better (and more transparent) testing methods, and new manufacturing techniques that provide viable alternatives to CEC use. 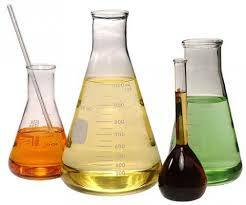 Publicity efforts driving the public toward or away from particular chemicals are also important. In fact, the paper notes a dramatic case of how a mixture of public outcry and media attention can work citing the decline in the use of antimicrobial products, including the CEC chemicals triclosan and triclocarban, following vigorous media campaigns. Halden hopes the data will inform future efforts to safeguard human and environmental health. Areas for improvement include shortening the duration between the emergence of CECs and their withdrawal as well as finding ways to develop new chemical and engineering methods that produce safer chemicals that do not pose a threat to human and environmental wellbeing. “My hope is that the ‘law of pollutant emergence’ uncovered here will not endure for another 60 years. Green chemistry – the design of inherently safe chemicals – points the way to a future of fewer risks and a healthier planet,” says Halden. In the mean time it’s good to know that public engagement can have an effect on shortening everyone’s exposure to toxic chemicals. Keep shouting!